Once upon a time there was a scrawny little kid that liked to draw. Then he grew up and drew more. 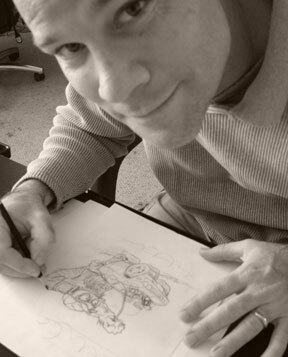 An industry innovator in computer illustration, Dean brings fifteen years of experience to the field of art - as an illustrator and as a set designer for film and video. He was among the first to utilize the power of the computer to generate his artwork and has illustrated over sixty children's books, puzzles, games and toys.